It such a great sight. mercurial Pollen on the back legs of the bees. Even better when it is Feb and only 10 degress. The pollen was a very brigh white colour. Not a huge amount coming back but at least they were finding something. tn Does anyone know what it might be. My pollen chart says Hazel pollen is white and the http://tinyurl.com/c9todd says maple is light. This entry was posted in beekeeping on August 28, 2010 by Brian. A few bees walking around the top of the frames. 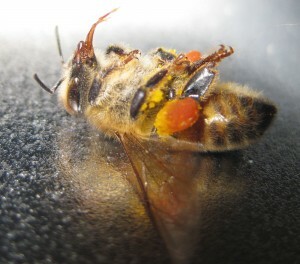 This entry was posted in beekeeping, urban bees on August 16, 2010 by Brian. It has been a long time coming but the sun is out and the mercury has risen giving our bees the opportunity to get out into the fresh work those muscles. We have been told about colonies not coming through the winter so I was worried about our hives but so far the ones in Battersea are all well and the hive in Wallington is amazingly strong. 2012 10 frames of bees. Don’t understand how that can be but there it was. Kanken I gave them a new brood with new foundation and some drawn out comb. 90 femme 2017 Hopefully the queen will move up into the clean parts. Backpack Then I can isolate her with a queen excluder for 3 weeks when all the brood has hatched. Look at the little claws on the tarsals. 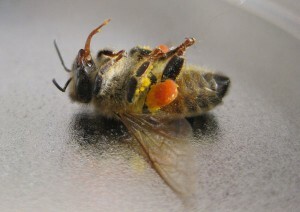 This entry was posted in beekeeping, urban bees on March 16, 2010 by Brian. 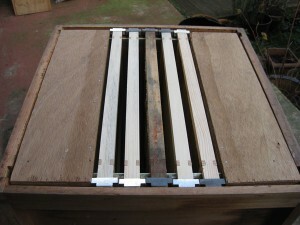 Here is a brood box with dummy sections on the side of 5 frames. 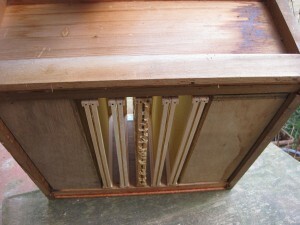 I put this on top of a colony to get the bees of the old comb and onto the new clean comb. Added wet frames this morning. This entry was posted in All blogs, beekeeping, urban bees on August 5, 2009 by Brian. After yesterday’s inspection from the lovely man from the Central Science Laboratory it was discovered we had a drone laying queen in the WBC hive therefore the colony was on it way to certain death. Gladly though I had a nuc with a small colony of bees that I had recovered from a secondary swarm a few weeks earlier and was therefore able to use to give new life to the failing WBC hive. To combine the two hives I took all the contents of the nuc including the queen and placed them into a super on top of the brood box of the WBC separated by a sheet of newspaper. (I had previously taken out the drone laying queen). Mochilas Mini Overnight the queens pheremone will spread throughout the combined colonies and hopefully the inhabitants will then happily live side by side. The bees will tear away the paper until the workers are free to move between the two sets of frames. This morning I had a look at the entrance and everything seemed to be normal. 2014 No fighting or dead bees. Tomorrow I will find the queen and put her in the downstairs brood box and give them a feed. Hopefully there is enough time for the colony to expand in numbers before the autumn. This entry was posted in All blogs, beekeeping, Queens and tagged combining colonies, drone laying queen, queen on August 30, 2008 by Brian. We had the BBC Newsnight crew over today to film us talking about A World without Bees and they wanted us to open the hive to get some shots of urban beekeepers. I thought we would just go through the motions and open the super and see some honey and the brood that I put up there last week. Backpack When we opened the hive we saw brood in all stages in the super. Kanken This means that there is a laying queen upstairs – again. I don’t understand why and how she is getting through the queen excluder. Or maybe the hive has two queens. This entry was posted in All blogs, beekeeping, Queens, urban bees on August 6, 2008 by Brian.